A huge number of Bollywood superstars have slipped on the Thai capital for the nineteenth release of the International Indian Film Academy. A slew of Bollywood celebrities who have descended on the Thai capital for the 19th edition of the International Indian Film Academy (IIFA) celebrations, are looking beyond the revelry and at the food and shopping that the vivacious city is famous for. From exotic fruits like Rambutan, Mangosteen or the king of fruit mangoes to sea food like crabs, muscles shrimps and squids -- Bangkok is popular for this and much more. * Veteran actor Anupam Kher, who will be feted with the Lifetime Achievement Award at the IIFA Awards ceremony on Sunday, said: "I am looking forward to spending time with people while going to eat out." * Ayushmann Khurrana, who will be seen co-hosting the IIFA Rocks night with actor Kartik Aaryan, said: "I am a big foodie and I am in love with Bangkok's street food." * Actress Mahhi Vij, who is nominated in the Best Actor In Supporting Role (female) category, said: "I am going to go shopping. It is very famous for shopping so I am going to go for that." * Nushrat, who will be lighting up the stage with her performance on songs like Dil Chori and Chhote chhote peg, said: "In Bangkok, I am most looking forward to the food. I am a complete foodie and I love Thai food. I am going to eat a lot of food. They have amazing fruits. You walk on the streets and find these packets full of nice fresh and exotic fruits Rambutan, Mangosteen... I am going to do a lot of fruit overeating." * Bobby Deol, who has made a Bollywood comeback with superstar Salman Khan-starrer Race 3, said: "It's a very interesting place. It's very exotic and has got some great food. I am looking forward to eating some really nice delicious food." * Designer Vikram Phadnis said: Bangkok for me is all about food and shopping. I just love it. I have been visiting Thailand ever since I started doing films because I would do most of my shopping in Bangkok, Hong Kong and Singapore while I was a designer for cinema. I know every street in Bangkok... People are just so hospitable. I love the food and I could eat and shop all day over there. * Actor Arjun Kapoor, who will shake a leg on the main awards night on Sunday, is choosing to keep his focus on his performance. 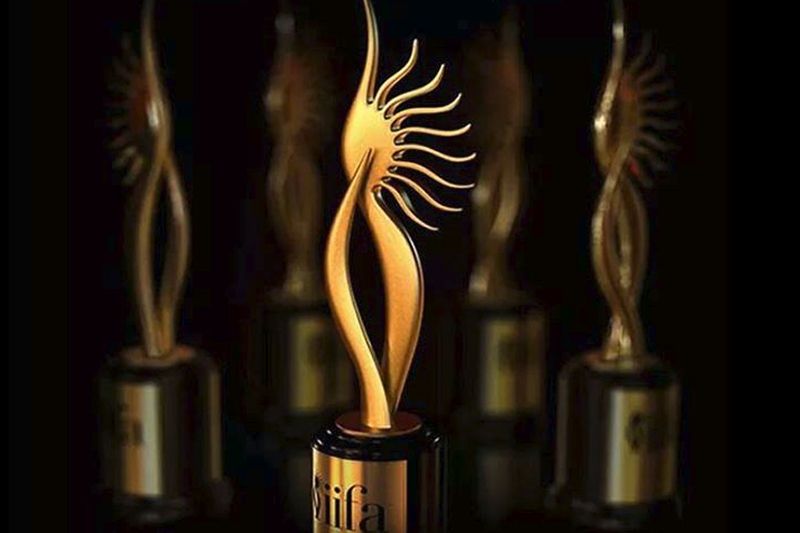 "Nothing apart from IIFA because it will be so time-consuming. Whatever time I will get, will be going on rehearsals and resting." * Actress Kriti Sanon, who will be dancing alongside Arjun, updated her Instagram story and was seen enjoying the nightlife here along with her friends.